I thought I had an A/C issue but after checking the system & it was good the shop discovered my resovior was low and this orange mess make just be the culprit. He told me that the coolant system is a bi*ch to bleed and get air out of. I don’t know what that device it’s leaking from is. Where exactly is the leak? All I see is a bunch of orange goo all over the place, as if one of the Teletubbies went through the radiator fan. Not sure what that is, but hopefully somebody will chime in. Has the component itself failed and sprung a leak? Or is the leak at the connection point? I have no idea at this point...I went to tires plus and they did a coolant system check and a pressure check and I had no leaks...so now I'm lost as to how my coolant was low. I thought the orange goo was from the orange antifreeze...I have found that I need a new valve cover gasket and 2 new coils though. To trace the leak, clean off all the coolant staining and then keep a very close eye on that area. A leak will show itself fairly quickly. Have you tried pinching the hoses with the engine running? Making sure you don't burn yourself or put your fingers near the fan. Excuse me stating the obvious but I'm not sure of your level of experience atm. 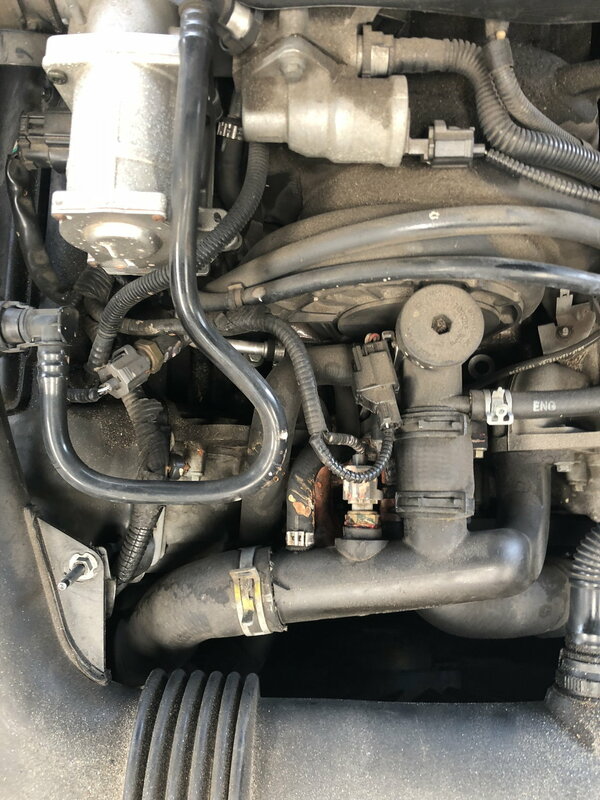 The thing with coolant leaks is they get worse with time or it will become a big leak very fast. My car had the pressure test on both hot and cold engine and gave no signs. But there was a leak. Well, don't be too hard on Tires Plus. Judging by the name, checking for coolant leaks isn't exactly their specialty. How long ago was that? Did you see any orange goo last time you checked the oil? For all we know, the leak may be very recent and wasn't present when they checked. On the bright side, low coolant AND an external leak isn't too horrific. You should be able to isolate and repair the source. What's bad is when you keep losing coolant but with no visible leaks. That would point to an internal (read: expensive) leak, but fortunately that isn't your situation. 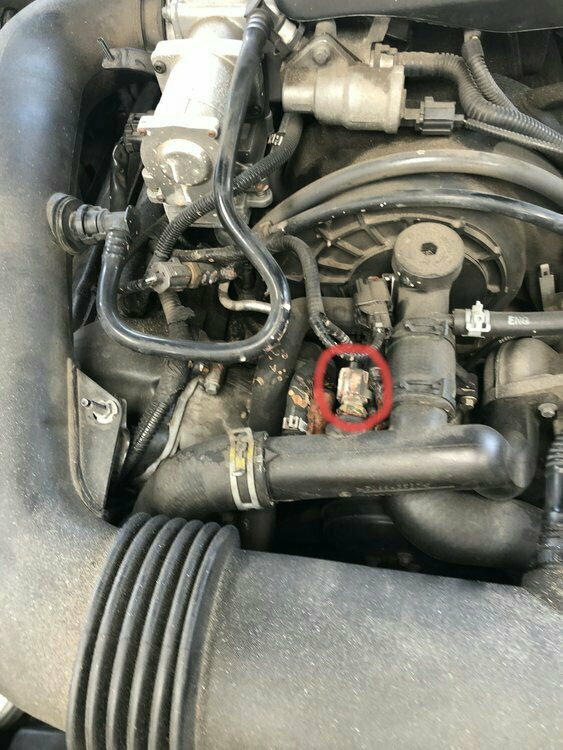 Severe coolant leak from 'Engine Coolant Thermostat Housing Water Outlet'. Quick Reply: Is my s-type Alien or is this a coolant leak?